Inspired by other guides for photographers in well known areas of the world (eg: Colby Brown’s Yosemite) I thought I would put together a page / few screens that (a) demystifies the Blue Mountains for visiting photographers and (b) acts as a nice upfront, illustrated walkthrough to my more detailed location-by-location guide on this site. This ‘hotspot’ photo location list also details best gear to bring and best times etc:). The general tourist or hiking sites tend to not consider the ‘photogenic’ aspects of the mountains, even though many come for that, so this site is also a response to that. 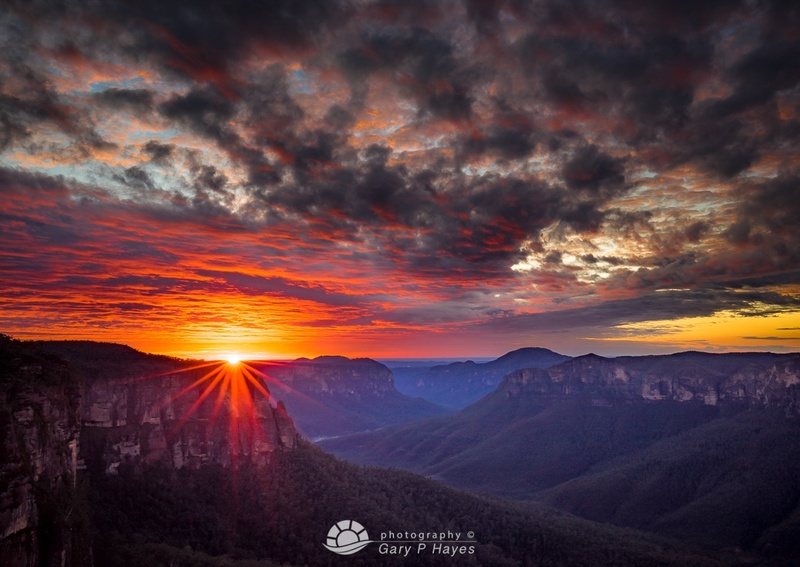 For now though a broad sweep introduction to photographing Australia’s Blue Mountains – All text and images © Gary P Hayes 2017. 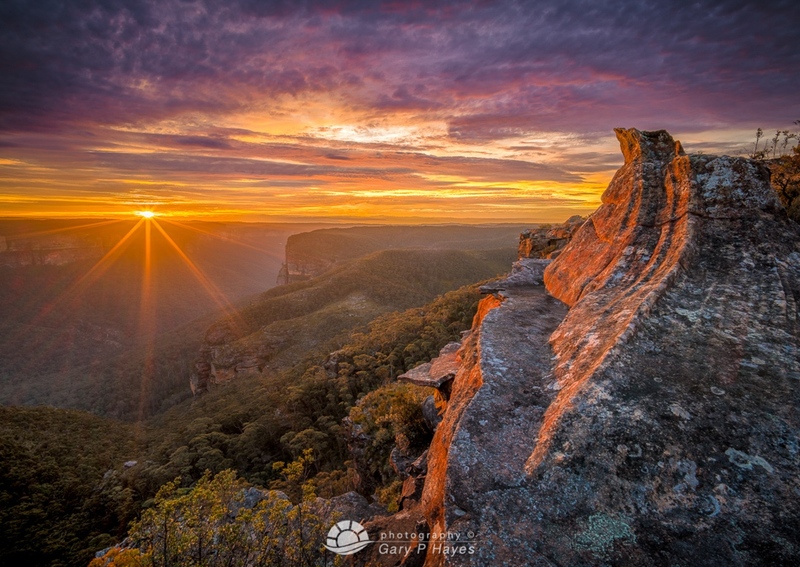 The Blue Mountains is a plateau that rises up over 1000m above the plains west of Sydney. The high plateau is 170 million year old layers of sediment pushed up as part of the movement of the earths crust that resulted in the Great Divide. Over many millions of years since then several valleys have formed in these plateaus as the waters from the various rivers and creeks have eroded this sandstone. 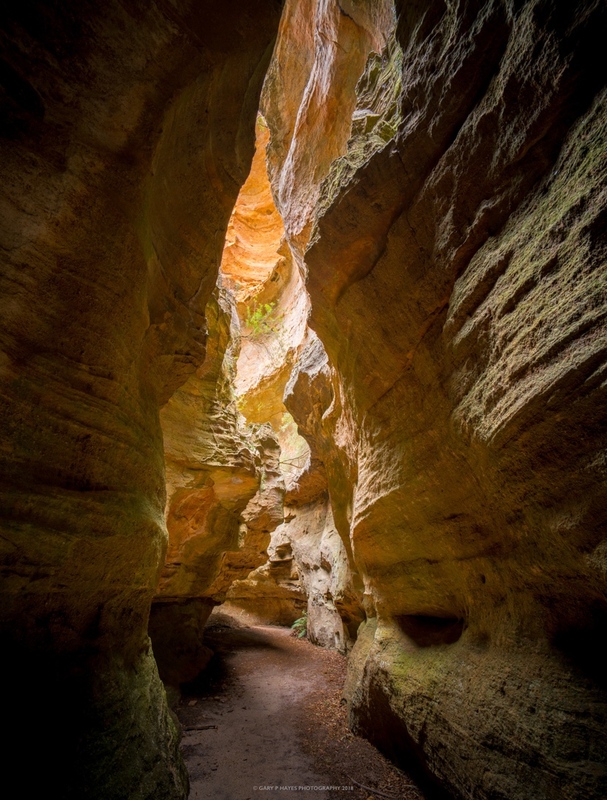 The erosion is also due to wind, heat and ice causing thousands of years of landslides as weaker rock inside the layers give way under the weight of the heavier sandstone. For the photographer this has resulted in a unique environment of sheer exposed cliffs, temperate rain forests on the valley floors, with large waterfalls dropping over the cliff edges, an abundance of rare plant and wildlife plus some unique atmospheric and micro weather conditions. The walks on the valley floors are great for tree, vegetation and wildlife shots but with very few clearings, shots looking up at cliffs are few and far between. Consider this when deciding to do a long valley hikes – great for fitness less for big landscape shots. Late 1800s settlers created a route across the plateau, now taken over by the Great Western Highway which is the modern backbone for photographers travelling across this amazing landscape. But the Greater Blue Mountains extends further west across the Oberon plains, Kanangra wilderness and through the amazing Jenolan Caves areas as well as north towards Mudgee passing Lithgow, Wollemi wilderness, Gardens of Stone and Wolgan & Capertee Valleys – all amazing areas to explore in their own right. But for the visitor who wants to initially limit their time and distance the Upper Blue Mountains are more than enough for several days and weeks of photographing and exploring. 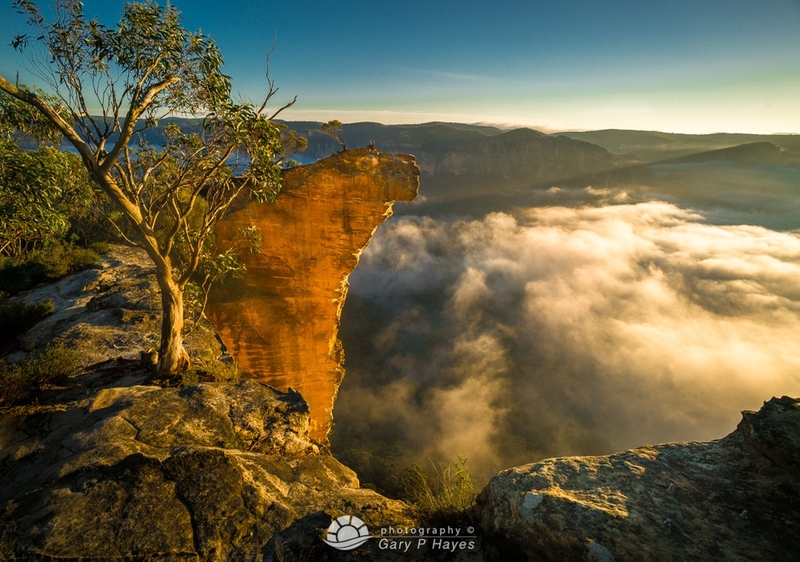 One of the main reasons for doing this little guide is to help simplify the Blue Mountains for the visiting photographer. Rather than just a long list of locations or a few ‘must’ visit tourist spots, I wanted to break it into zones. When I set out in the mornings or late afternoons I have in mind the direction at any location I will be facing, but also the type of shot and therefore the zone I decide to go to. There are lots of ways to break down the ‘type’ of shot you want to do in the mountains from cliff edges into the valleys, valleys up at mountains, waterfalls, forests, creeks, lakes, rural, plains and then specific atmospherics, mist, sunrise clouds/light, sunset clouds/light etc: but the remarkable thing about the blue mountains is that almost all of the above are available in each of my ‘zones’! So focusing your time during the golden hours and on the trails you can potentially stay within say a 3-6km radius and have all of the above – assuming the direction works for you. So the following should help you choose the best places to stay and be a few minutes vs 40mins+ from your sunrise/sunset shots or easy access to that 3 hour waterfall walk. These zones correlate with my location specific guide and this serves as an introduction to each. The general layout of the Upper Blue mountains is based around the Valleys and the Great Western Highway that connects all the towns. The towns don’t really have a great deal to do with the range of locations and walks at each but serve as a way to break them into groups. The ‘aspect’ (north, south, east, west) which is critical for landscape photographers whose work is based around light direction are described below in general terms – obviously there are exceptions in terms of small outcrops or views across gullies and side valleys. Not ideal but the lookouts from the escarpment edges near the zones of Wentworth Falls, Leura and Katoomba are almost all exclusively north to south aspect looking into the Jamison Valley – apart from the obvious views across gullies east and west but these are not best for the Golden Hour when of course a low sun in shot is desirable. 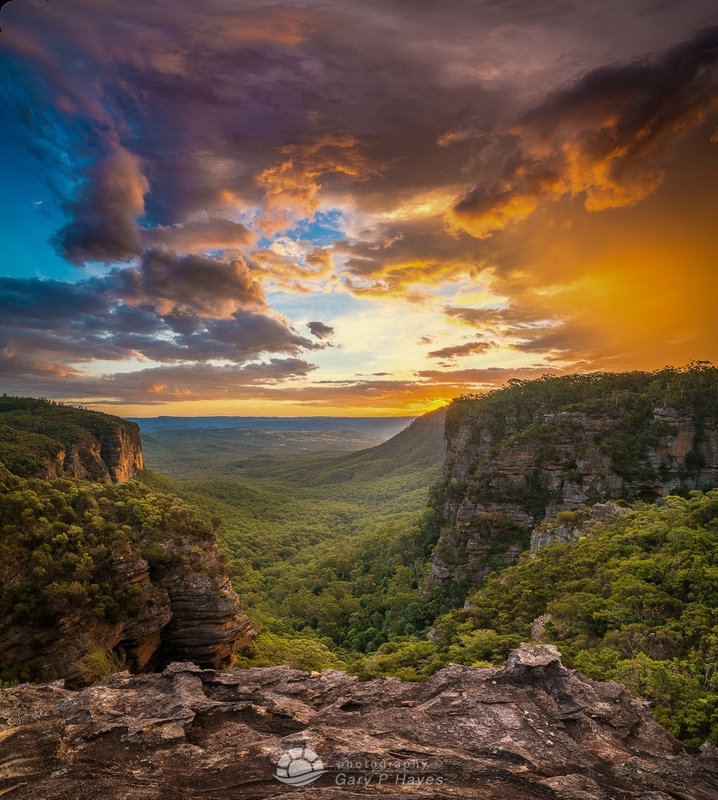 The Bells line of road locations are on the northern side of the upper Blue Mountains looking back across the wilder Grose Valley towards Blackheath but have some great east and west facing sunset locations also. 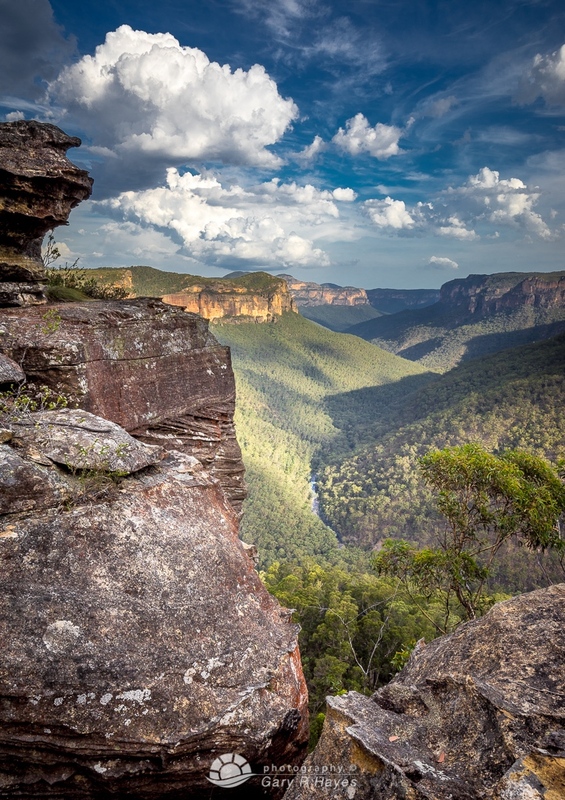 The Great Western Highway bends north after Katoomba and just up the road Medlow Bath lookouts face west into the Megalong Valley while Blackheath and Mount Victoria face both west into the Megalong and Kanimbla but also east into the Grose Valley. There are spurs, valley edges and plateaus around Wentworth, Leura and Katoomba zones that face east or west. Tablelands in Wentworth Falls for example has some great but ‘open’ (meaning hard to get great foreground) west facing sunset views, Sublime Point in Leura has decent ‘limited angle’ views in both directions and my favourite Narrow Neck plateau near Katoomba stretches far into the Jamison and has the best east and west vistas at several lookouts detailed in my guide. There are not many easy access north facing zones in the upper Blue Mountains but north of Leura you can follow Mount Hay Rd to several great north facing ridges and a few tracks lead to isolated viewpoints like Point Pilcher from Medlow Bath. The South Lawson loop takes in some great 5-10m falls including Adelina, Federal, Junction, Leslie and Cataract. The Hazelbrook loop has three unique and slightly larger falls Burgess and two you can walk behind, Oakland and Horseshoe while the North Lawson route is more ‘deep glen’ based and covers Fairy at the top and Dantes and St Michael falls at the bottom, so require a bit of a climb down whereas the others are much more gradual edge of valley walks. Worth also considering also the single in/out route of Terrace and Victor Falls where Terrace is the more iconic shot with guess, lots of drops over terraces. Best 1-3 hour Photographic Trail. My favourite and recommended first time walk for visitors is the National Pass loop. This starts or ends at the Conservation Hut and drops half way into the Jamison and along a ledge for the middle section but takes in around 5-8 waterfalls depending on a couple of tangents and several vistas. 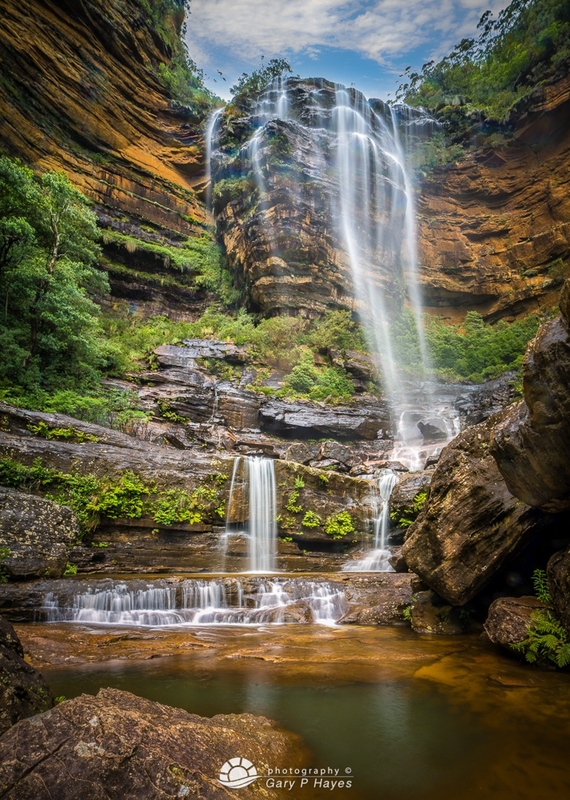 The main walk drops through the Valley of the Waters past Empress, Sylvia and other photogenic falls all next to each other then along a ledge around the valley walls and comes out below the much bigger Wentworth Falls with a climb up victorian steps for about 40 minutes. A great way to get 10+ locations in one go. 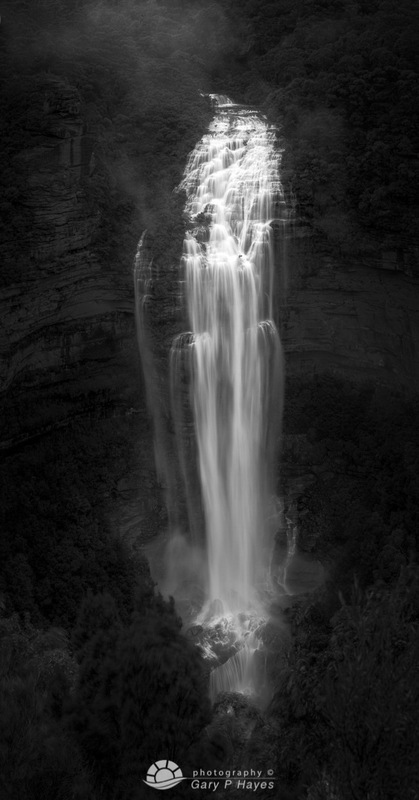 Quick 1 hour Falls and Vistas – A series of 10 minute walks from the main Wentworth Falls car park can take you down to very friendly access Weeping Rock falls, or out to some great lookouts across the main falls, Princess Rock Lookout for example and also a short 10 minutes extra walk at the start of the National Pass and before the long staircase down, takes you onto a great ledge overlooking the valley and across the top of the falls where behind you Queen’s Cascades tumble. 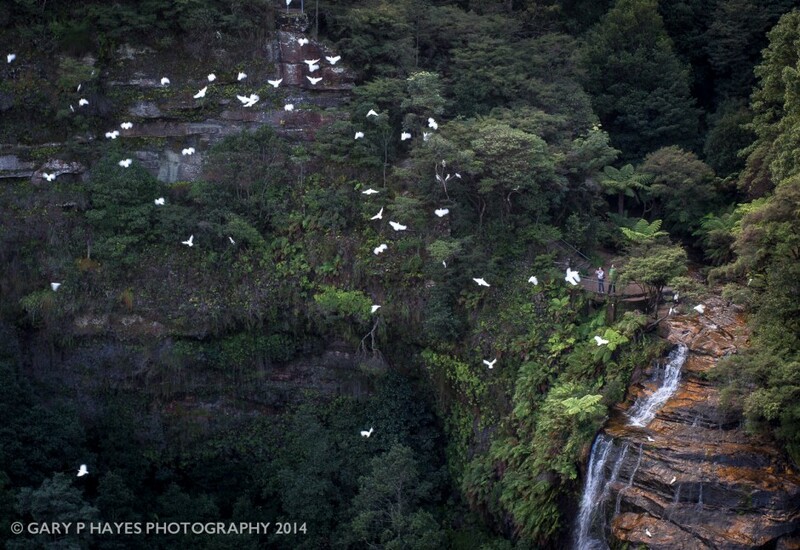 The Iconic Shot – For me the shot worth doing well in this area is probably the very beautiful Sylvia Falls. Best 1-3 hour Photographic Trail. 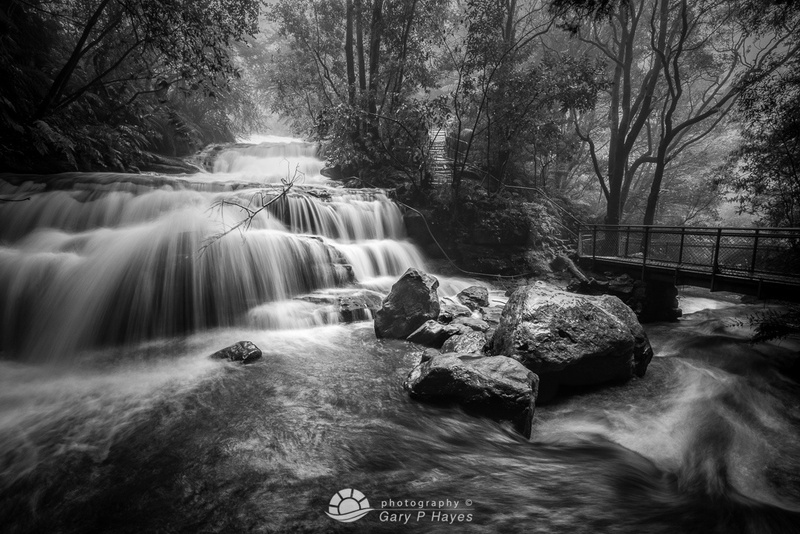 The best loop here can start or end at Leura Cascades and drop down into the valley, along the Amphitheatre track, through Leura forest and back up past a few great glens and waterfalls to Solitary Restaurant area. Leura Cascades has a great upper falls next to the car park and several on the walk out to the lookout above Bridal Veil Falls. A step walk down gets you beneath these and also takes in Leura’s own Weeping Rock (just below). Around the cliff edge and then back up past Lila and Linda falls and a few lovely Glens. The walk out either way is a good 45-60 minutes steep. Quick 1 hour Falls and Vistas – The waterfall loop that takes in Pool of Siloam and Lyrebird Dell Falls from Gordon’s Falls car park is a nice one hour route but for easy vistas consider Olympic Lookout just around the corner from Gordons Falls. 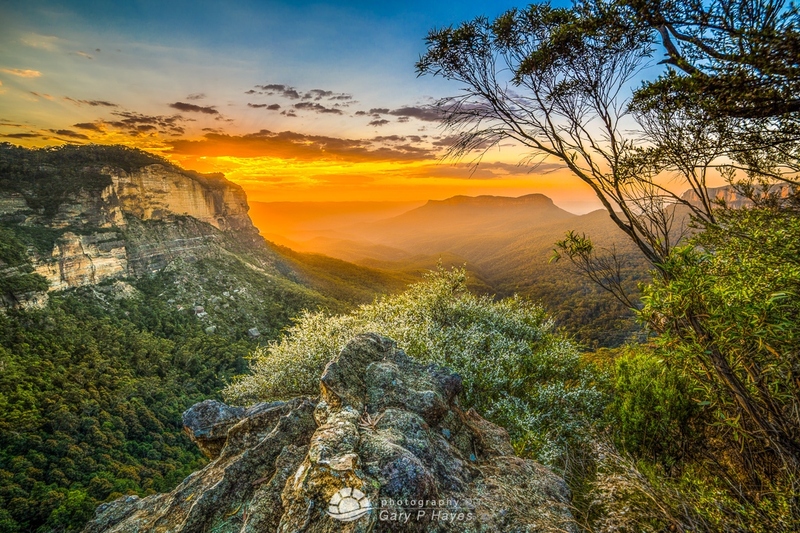 Best Iconic Shot – The most iconic Leura based shot is probably the best view of Mount Solitary in the middle of the Jamison Valley at dawn or sunset when it is lit up alone above the mist or dark valley from Olympic Rock or Sublime Point. Best 1-3 hour Photographic Trail. There are a lot of trails around Katoomba but the one with most bang for buck is the Furber steps route starting or ending at Katoomba Kiosk car park area. The walk drops quickly into the valley then you follow it around the valley floor and up the Golden Stairs to the Three Sisters and back down to the kiosk. The start of the walk passes the unique Witches Leap Falls and then a short path out to the middle of the 800ft Katoomba Falls followed by a step walk down the Furber Steps and down to Cox’s Crossing and smaller falls, a long walk around the bottom of the Three Sisters spur and up the dreaded steps – perhaps to take sunset at Echo Point. Quick 1 hour Falls and Vistas – There are some great walks and viewpoints off Glenraphael Road on Narrow Neck ridge. You can drive out onto this plateau and take some great shots east and west. A good one is the walk from the second steel barrier on the left, which takes you right next to Dogface (Landslide cliff) with wonderful views of the valley and the monolith ridge. Best 1-3 hour Photographic Trail. The best loop trail for me is the Grand Canyon one which although doesn’t have lots of iconic falls does have a lot of variety of shots from wispy ledge falls through to creeks and deeper canyon type shots. It also starts and finishes at Evan’s lookout which has a great view of the wide and more rugged Grose Valley. You can continue towards the more wild Rodriquez Pass route off this loop and come up at Govetts Leap, this passes some great falls like Beauchamp and has amazing valley views too, but it is for more advanced walkers. 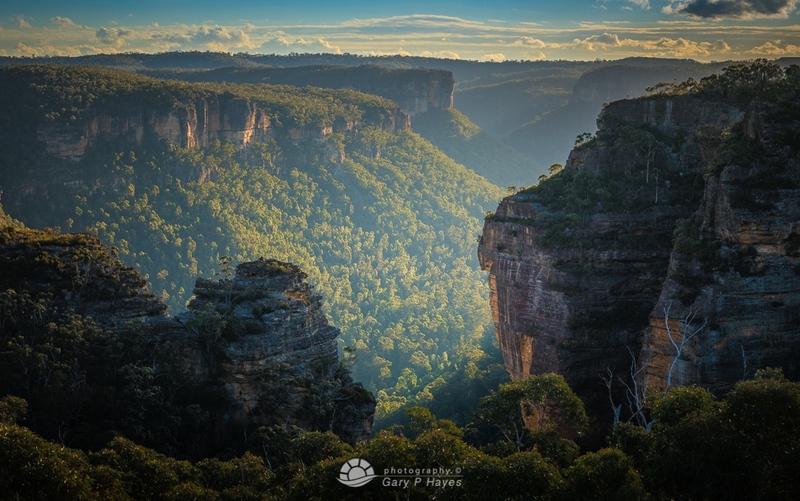 Quick 1 hour Falls and Vistas – One of the best there and back routes providing lower views of the Grose than Govetts Leap is the walk to the bottom of Bridal Veil (the Leap part) at Govetts. Park in the top car park and follow the route down to the right of the viewpoint, keep going until you are at the bottom of the falls – great views looking up. A little further some more falls worth 1o minutes return. 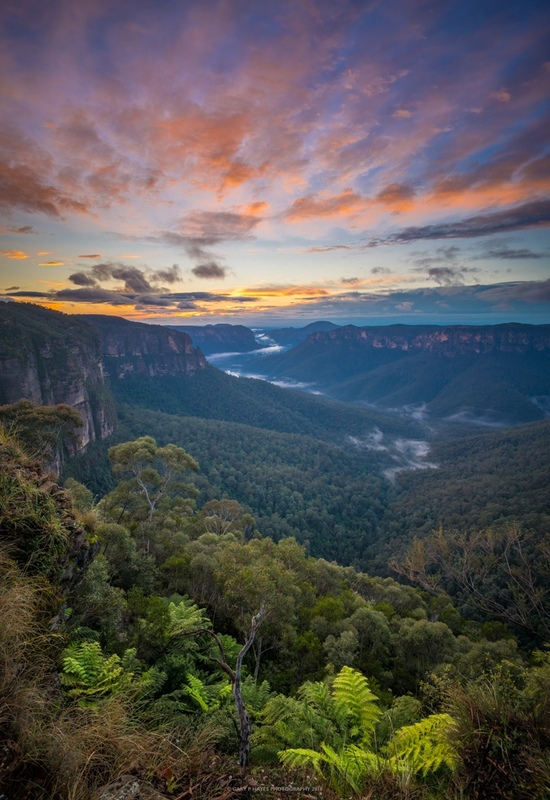 Best Iconic Shot – Has to be the main view from the car park area at the east facing Govett’s Leap. A fine composition for anyone who clicks, but sunrises are fantastic here and easy to keep warm in the car! But spending time with different lenses here can produce amazing results, the misty valley shots or god rays from morning clouds all amazing. Other shots worth considering – So much in this area. 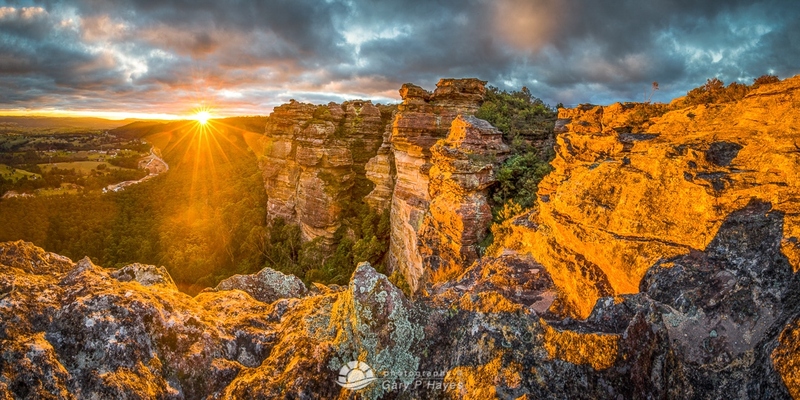 A long 4.5km (walking or biking only) to Hanging Rock, a drive to great Grose Views at Perrys Lookdown, Anvil Rock nearby and Pulpit Rock on the way. 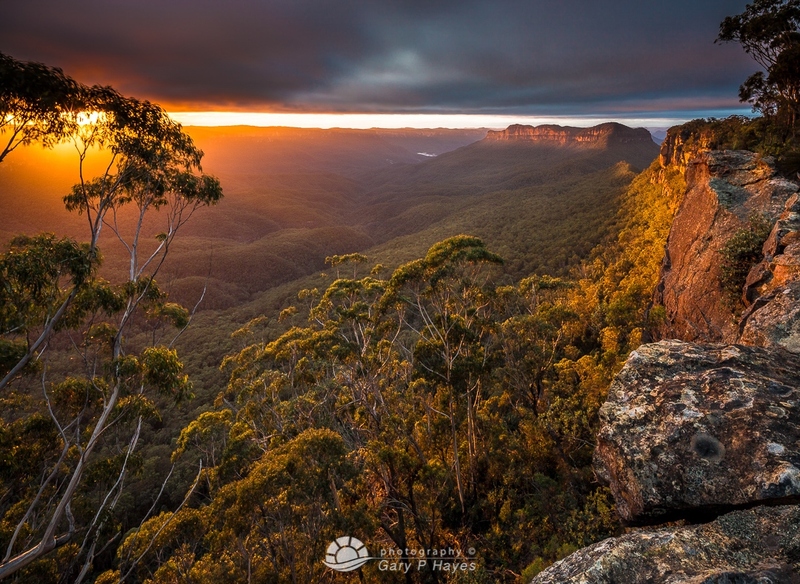 Consider the other side too from Blackheath, Hargraves Lookout is great at sunset looking into the Megalong Valley, Mount Blackheath also and many more. Best 1-3 hour Photographic Trail. There are not many big loop trails around Mount Victoria (where I live) as it is at the end of the Upper Mountains before it drops into the Oberon plain. But a notable and favourite one for me is the one that starts and ends at Mount Piddington. Walk out to Hornes Point from the car park here then loop back via Ferris Cave and several viewpoints. 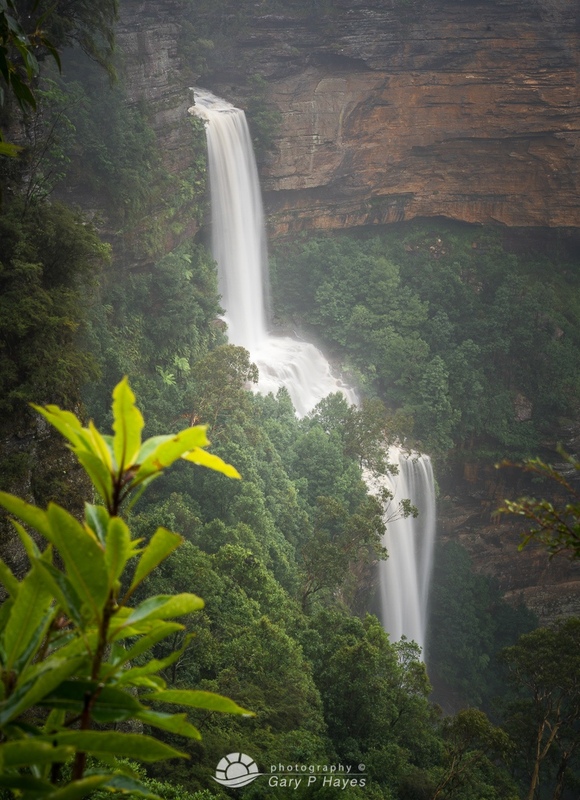 There are no waterfalls of note in the area (unless Victoria Falls down in the Grose Valley counts!) but fantastic views of the rural Kanimbla Valleys below and out to Jenolan and Kanangra behind. It is possible to spend at good hour or more at Hornes point as it has almost 270 degree views across the whole of the west and southern areas of the valley below. 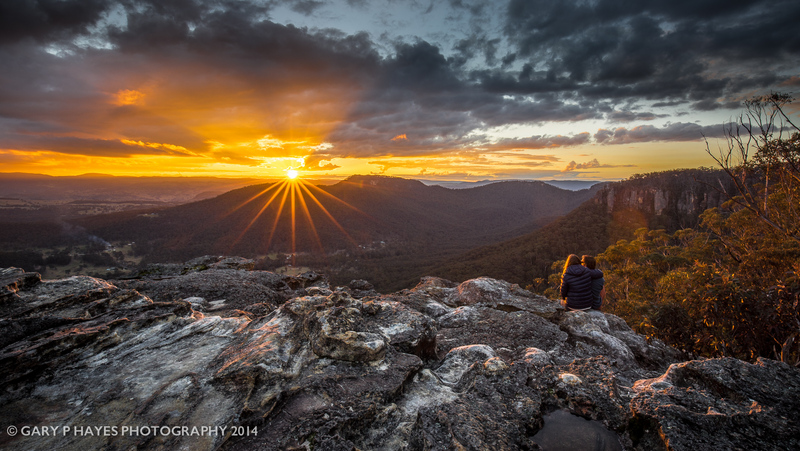 Best Iconic Shot – For me a sunset shot from Hornes Point into the rural valley below from the rugged rocks above sums up the photo ops here, but many photographers go to the multi level Sunset Rocks (google maps have it waypointed). Other shots worth considering – Henry Lawson trail out to Engineers Falls (alive a few weeks a year), the drive out to Victoria Falls LO is worth it for sunrise (consider walking down to the falls but it is a 400m down and back out, so allow 3 hours at least), and the famous Pulpit Rock and Rienitz Pass on the little Zigzag trail are other local walks. Best 1-3 hour Photographic Trail. As this road is an alternative route across the mountains from the Great Western Highway the routes here tend to be out and back along the same track to the north edge of the Grose Valley. Two possible ones to join up are Rigby Hill and Walls Lookout, both fantastic sunset locations but easy walks at an hour each. These provide unique views from steep cliffs into the upper arm of the Grose Valley, almost opposite Perry’s Lookdown. Another favourite here is the Mount Banks loop, although I prefer the up and back down as the route around the back is mostly firetrail in trees. Quick 1 hour Falls and Vistas – Another quick vista from this road is the viewpoints De Faurs and Wynnes in Mount Wilson along with side trips into the town with lots of evergreen and flowering plants all around as well as a very cute church and main street. Best Iconic Shot – For me Mount Banks one of the highest peaks in the area offers stunning rugged vistas on the way up to the top especially at sundown. 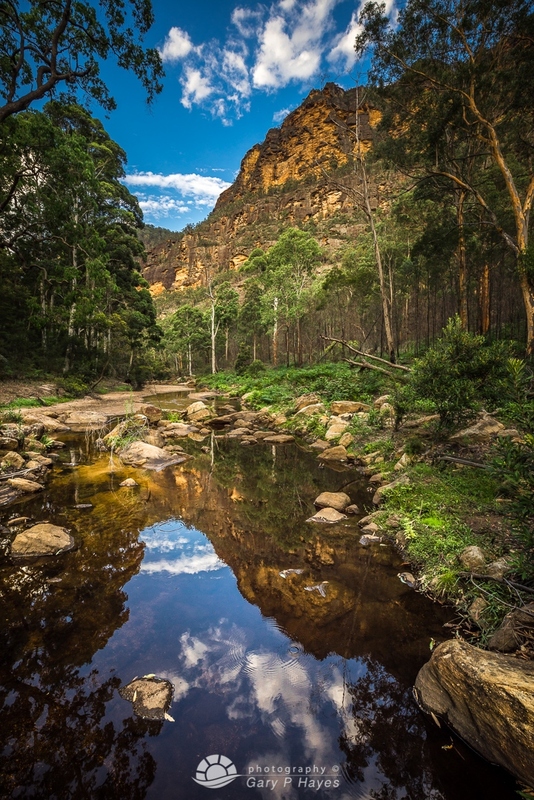 Newnes State Forest and Plateau is my current favourite area with many clusters of pagodas and creeks making it feel like ancient cities scattered around with names like Temple of Doom and Lost City. Not to be confused with the town Newnes, which is at the end of Wolgan Valley and below the plateau. Bells, Mount Tomah, Mount Wilson and other towns on the Bells line of Road. Car – As a photographer a car is the most useful of course and the drive from Sydney CBD is around 90 minutes with no hold ups. The driving time between each of the zones (towns) above takes about 5-8 minutes but remember you are often going 2km across the Great Western road to get to various lookouts or start points. The drive can go via Penrith and up the Great Western to the Upper Mountain towns or around via Richmond and the Bells Line of Rd towards the furthest town of Mount Victoria, and work your way back if you like to do a big loop. Train – Each town has it’s own train station and it can take around 1.5 – 2 hours from Sydney to get to say the middle zone of Katoomba. Once at the station if you are on foot then a tourist loop bus or taxi will get you out to the lookouts which may be about 2-4km away. Consider though getting a cab at a remote lookout area after sundown as the best return option to the train. Tour/shuttle – quite a few photographers I speak to on the trails book a tour then jump ship and do their own itinerary. A tour can be as little as $50 and this will get you up into the area and back again (if you have a good relationship with the guide!) or there are less complicated shuttles from major hotels in the city to get you to the main tourist area of Echo Point. From there it is only 15-20 minutes to any of the zones above. A quick ‘personal’ (not very scientific) overview of the mountains in the four seasonal quarters after coming here for the last 9 years and living here for over a year – but bear in mind that because of the micro environments and unique heating/cooling of the general Australian climate, the weather can be surprisingly varied in all months of the year. A photographer should come dressed for at least a season each side of the one they are in! Early spring is still quite cool up at 1000m, it tends to be the windiest but also has the best atmospheric conditions for photography. That said last year 2013, October brought massive bush fires at 40C temperatures and 100km winds, which luckily didn’t roar into summer. The up shot of this for the photographer is amazing misty valleys as the rains slowly evaporate and also incredible cloud formations at sunrise and sunset as the warming spring airs flow up from the plains below and cool in the evenings. 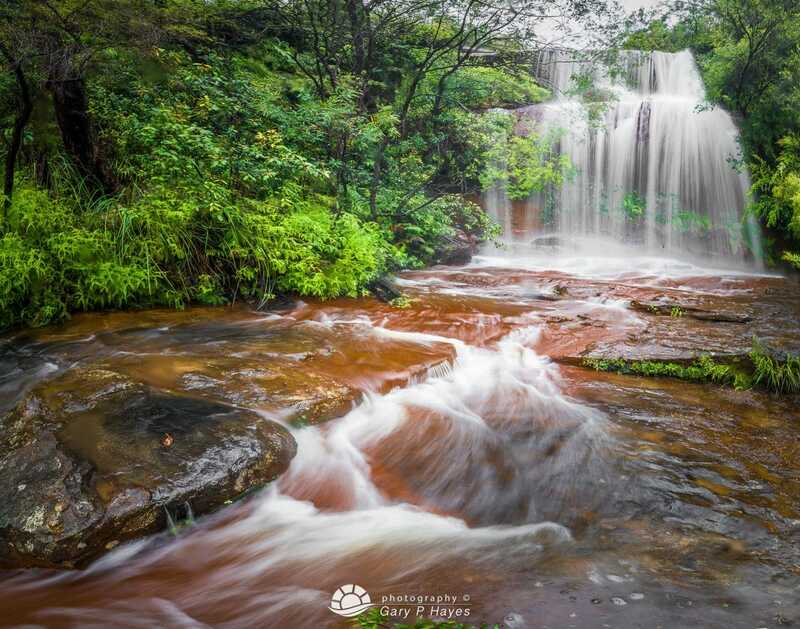 The water falls are still pretty strong in spring after months of winter rains that keep the ground water high, this combined with excellent opps in other types of landscape photography make it the best time to photograph. Another thing to be aware of when out and about on the trails are the newly hatched insects which are particularly troublesome when you are their only food at 7am on a cliff top! So lots of repellant recommended. The driest months of course and a lot of waterfalls will have almost completely dried. Even the mighty Katoomba or Wentworth Falls sometimes stop flowing completely, but late summer rains will return and keep them alive. But the Blue Mountains are never barren of course and even a few mm of rain can produce dramatic mist in the valleys, indeed I have taken my most powerful mist/fog shots in the summer periods, including valleys full of mist and the amazing phantom falls effects. Also significant flash rains can cause floods but amazing waterfalls as the warmer air brings clouds from the plains that collect moisture as they rise up the plateau. The other benefit in the summer is lovely long days to go on the trails in the semi or full canyons which are so deep in places that it could be any season. Late summer is particularly good after a day or two of rain, as the deep oranges of the rocks & creek beds contrast with sparkling new water. Autumn doesn’t bring as much of the traditional red and orange to the landscape as in other countries of the world. 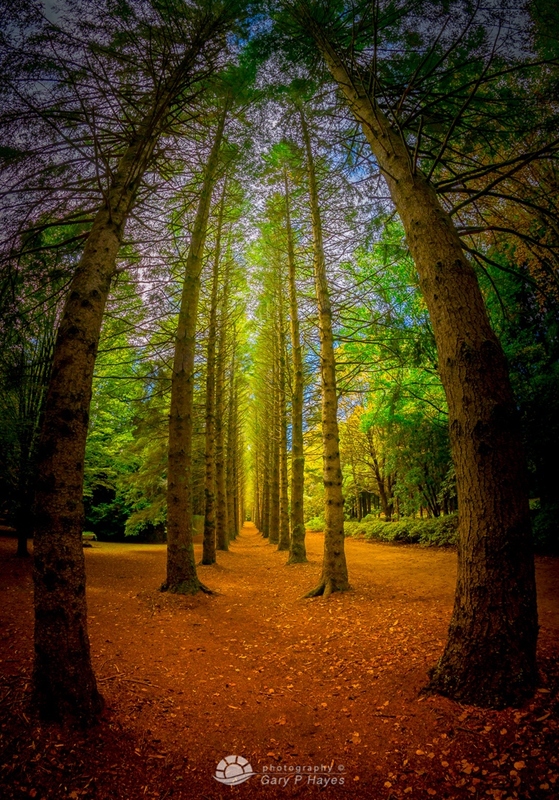 In the Blue Mountains it is mostly introduced trees that ‘turn’ and a few areas like Mount Wilson, Blackheath and selected gardens are worth exploring. In fact a mass influx of local and international photographers go to Mount Wilson which has large swaves of imported plants. The weather in this season is more predictable than other months and there are less ‘atmospherics’ it seems. A good time to visit if you like more manageable weather, not too hot or cold and good easy trail walking and camping. You can get a few inches of snow in the higher plains and higher towns in winter but it general won’t stay for more than a day or two, so most photographers are on alert and the first sign of a fall and they will travel 40km plus for their winter wonderland shots. Generally around Oberon or Jenolan areas vs the last sections of the Upper Mountains. Winter can bring big rains too and my best waterfall shots are generally in the later winter period when it can be known for 10-20cm to fall in a day and when a lot of waterfalls become too dangerous to visit and a lot of trails around the cliff edges are too slippy. Winter is also know for some amazing displays in the sky at sunset, less at sunrise. Wow, thanks Gary. Incredibly generous of you and very inspiring. No worries – hope you are able to get up here and do some shoots! Awesome writeup mate! I will no doubt be using this guide myself for inspiration now that I’m living up this way. Great stuff. Thanks Vern – might see you on a lookout one golden evening! Thank you so much for this. It’s exactly what I need! 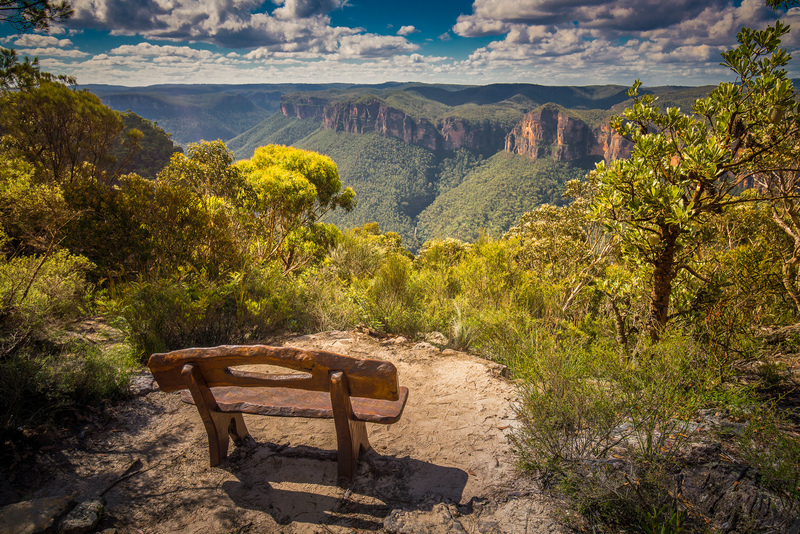 This is an awesome guide to the picturesque beauty of the Blue Mountains. Thanks Gary. You know it could also be called ‘A Visual Guide to the Blue Mountains for Drawers, Painters and Photographic Artists’ just to give it broader appeal and the success it deserves. Thanks for all the afford to put these together! very useful!! I live in Western Sydney and I’ve done a lot of coastal sunrise for the past two years, last week I decided to go to Blue Mountains for a change and it felt great! I’ll definitely visit the mountains more often now and your guide is very handy! Is it possible for me to also have access? Your guides were invaluable for planning my quick visits in the past and hope that my shots have reflected them. Hoping to get to one of your starry nights courses but will need to save up first. Hi David – I am currently revamping my whole site and especially the hotspots which are completely removed now until then. Please keep checking back and I hope to have them back in a month or so – using a much better interface. It looks like you use a few other locals to help you get new locations in the meantime so hopefully not a big loss? Hope to see you on a course soon too and checked your flickr account, you have some nice Bluey shots there! I’m looking at your upcoming Waterfalls 1 day trip and 2 day sunrise / sunset trip. I realise that most weather conditions make for interesting photos, but especially in terms of sunrise / sunsets shots, what happens if it’s a wash out? Also, are these two above mentioned workshops running / do you have places available? How do we go about gaining access to your hotspots – do we need to complete a course first? P.S Your shots are wonderful! Hi James – thanks for the enquiry. If the weather means it is impossible to shoot or as you say a white out then we firstly re-schedule if possible, or can move the person to a different workshop. Yes both workshops are still running and places left. The Hotspots are made available to all those that do workshops or who I have shot with in the mountains in other events. It’s the first time I have stumbled upon you page and I am so glad that I did! I’ve been searching for information like this and want to thank you for it. 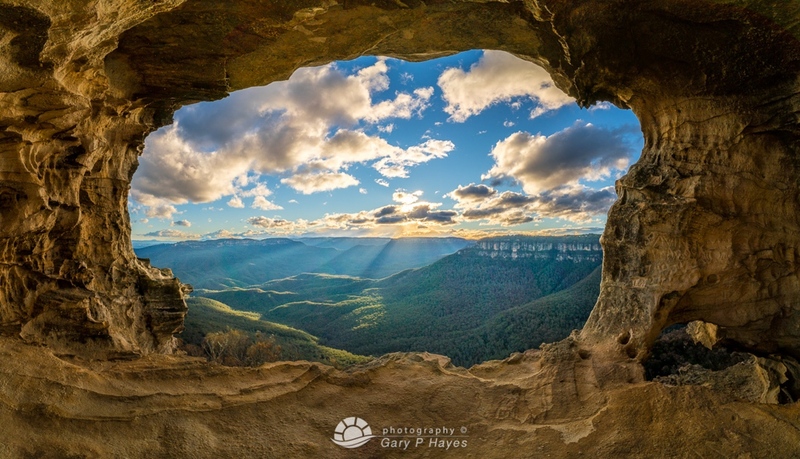 I will be heading to AUS in 3 weeks and one of my first stops are going to be blue mountains! I am looking forward to taking some photos there. Yours are truly incredible! Great guide Gary! I will be heading out there in early May and this will definitely help to pick my spots for photography. I have been looking for a blog like this for months! No idea how i came across it but the photo gods must be looking out for me! All this info is super helpful and in one spot which makes my life so much easier! Ill be up for a few days in June craming as many shots as I can into a 3 day stay. Looking forward to my adventure! now all I have to do is narrow down what lookouts will be my planned sunsets and sunrises. Some tough decisions ahead. Gary – your work is excellent so is your Webb site, I wish I had seen a few weeks ago as I was in Blackheath 2 weekends ago taking some pictures and definitely would of called into the Gallery. Maybe I will find time before I head home to the Philippines.. Yes shame I missed you. Hope you got some great shots! that’s a fantastic guide, thanks for the info, Gary! Gary, love the photos and thanks so much for the advice and tips. Just had 4 glorious days in the mountains and filled a few memory cards! So very generous of you to offer such insight, was really appreciated.